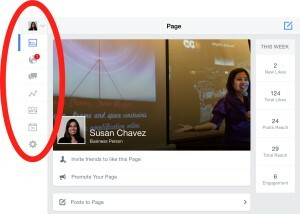 Facebook Gives Pages App an Updated Look: Facebook’s pages app for tablet devices has a new look. The navigation bar, from which page managers can switch pages; view analytics; etc., has been moved to the left-hand side. Facebook Updates Rooms: Facebook has added the “Explore” button to the top-left of the Rooms app to enable users to find and join news rooms more easily. Explore provides a glance at the rooms a user’s search turns up and a clear “join” button should they decide to become part of a room’s community. Instagram Adds Five New Filters and More: Instagram announced the addition of five new filters on December 16. The new filters are Slumber, Crema, Ludwig, Aden, and Perpetua. Instagram has updated filters by providing a preview of photo with each filter applied to make selecting a filter easier. Finally, Instagram has added a “Manage” button so users can rearrange their filter order in favor of what they use most often or hide filters they rarely use. Pinterest Adds New Way to Edit Multiple Pins: Pinterest has updated pin editing to make it possible for users to choose multiple pins and move them to a different or new board. Users need to simply look for the “Move” button on one of the boards and then select up to 50 pins to move or copy onto another board.